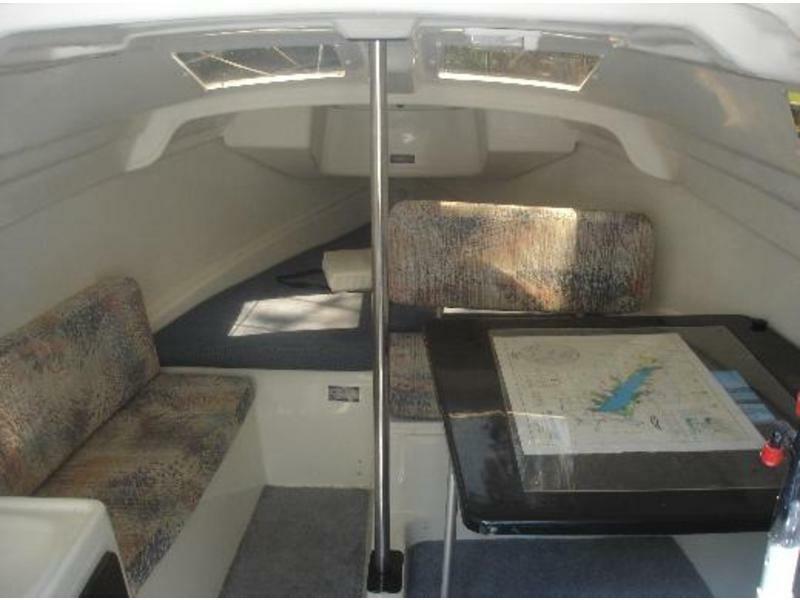 1999 MacGreagor 26X trailerable sailboat. 26′ long with an 8′ beam. Draft is 9″ with the board up and 5′ 6″ with the board down. Boat empty weight is 2350 lbs and the trailer weight is 710 lbs. The main sail area is 151 sq. ft and the genoa, mounted on a CDI Roller furler, is 206 sq. ft. (Included is the jib at 130 sq. 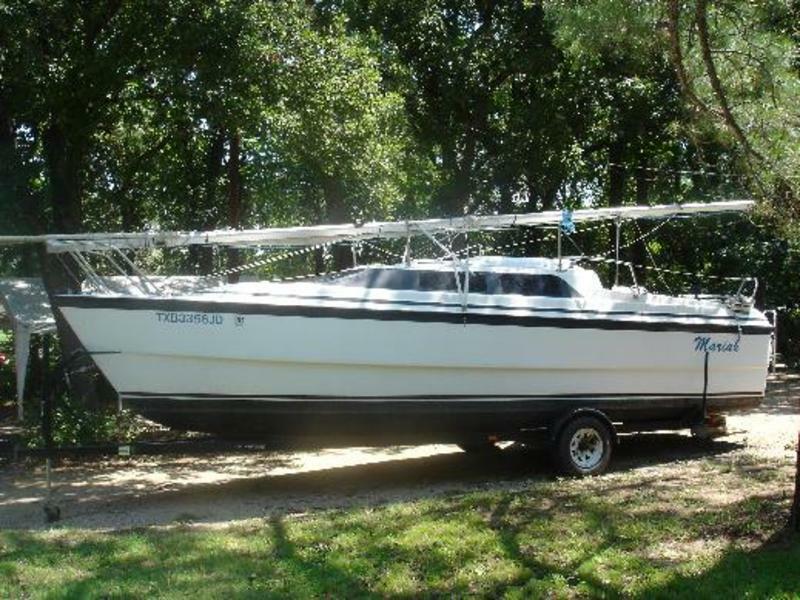 ft.) The boat has a 50 hp Tahatsu engine, an enclosed head, and a Bimini top.